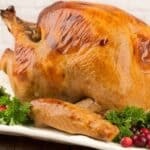 Traditional turkey dinners with all the trimmings can be rather overwhelming if you don’t have a big guest list. 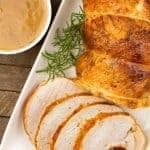 This four-course menu, centered around a cider-brined turkey breast captures all the great elements of Thanksgiving dinner, but with a bit less work and fewer leftovers. 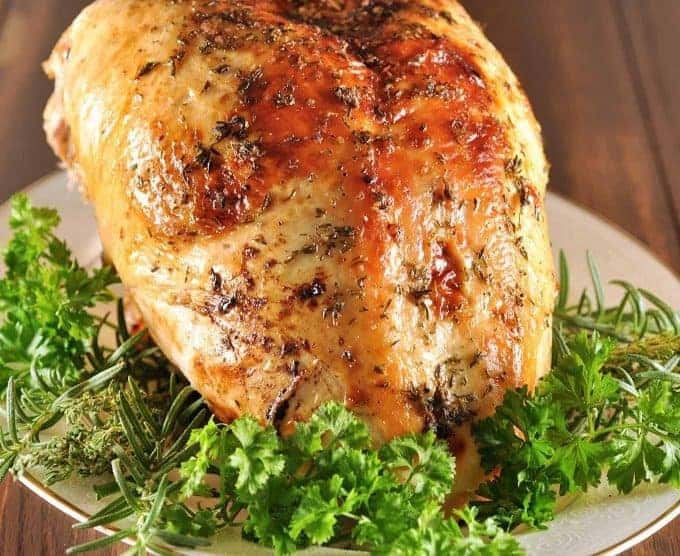 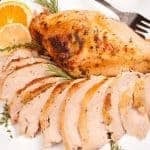 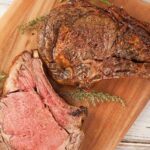 Apple Cider Brined Turkey Breast- Brining a turkey breast only takes about 5 hours and the moist, flavorful results are well worth the effort. 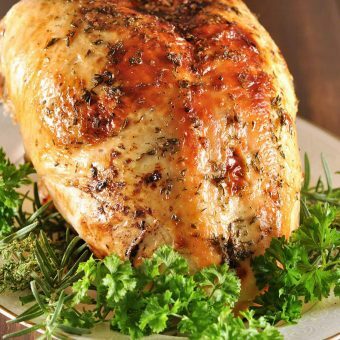 This brine uses apple cider to add a subtle sweetness to the turkey. 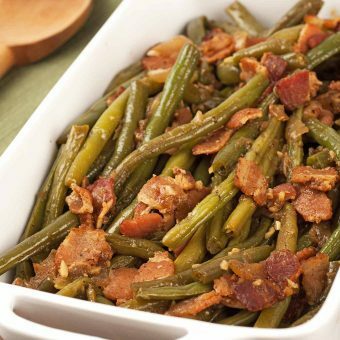 Southern-Style Green Beans- Slow cooked with smoky bacon and sweet onions, these Southern-style green beans are sure to become a family favorite. 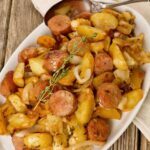 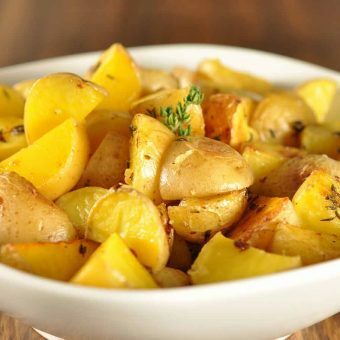 Roasted Garlic And Thyme Potatoes- Roasted potatoes get a real flavor boost from fresh thyme and garlic. 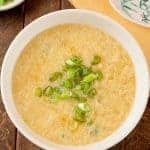 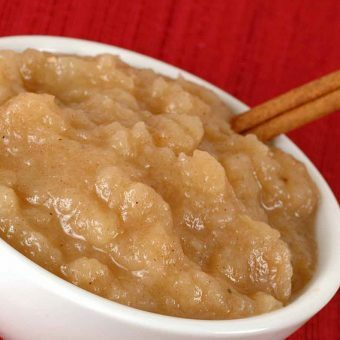 Fresh Cardamom Spiced Applesauce- Making fresh applesauce is so easy and the extra flavor is well worth the effort. 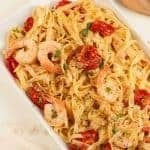 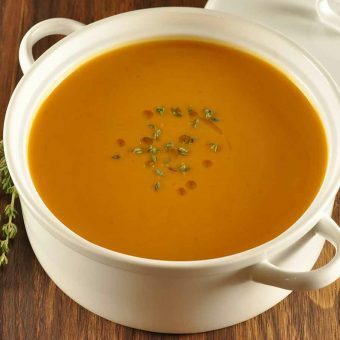 This recipe uses cinnamon and cardamom for a wonderfully aromatic flavor combination. 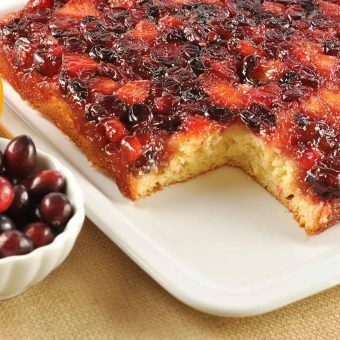 Cranberry-Orange Upside Down Cake- A tangy combination of cranberries and oranges top this buttery, moist upside-down cake - a perfect ending for a holiday dinner.